C.P. Hia's great reflections on Luke 4:1-13. We live in an instant gratification age; so, Hia's words are downright countercultural. We also live in an era in which the Church often mistakes grace for license. Through the grace God gives believers in Jesus, we're not to make excuses, but strive to live faithfully, in daily repentance and renewal. God, help me to turn to You every time temptation and "the easy way" call. Forgive me for all those times I fail to turn to You. Help me to move in the power of Your Holy Spirit so that I successfully resist the devil, the world, and my sinful self and so, grow closer to You. When tempted, give me the power to say, "No deal!" In Jesus' Name. Amen! the human family from oppression, tyranny, and evil. Since our founding as a nation "conceived in liberty,"
and to liberate those held captive. remember them, to pray for them, and to care for them. and console their families with Your unfailing love. these rights available to all. Rick Warren is the author of The Purpose Driven Life, among other books, and the founding pastor of Saddleback Valley Community Church in Orange County, California. He and his wife Kay have undertaken an international ministry dealing with Third World poverty and the prevention of AIDS. "I remember standing in the back of the church," Kay recalls, "waiting to walk down the aisle, going, 'Okay, God, those feelings that you said you'd bring? It would sure be nice if you'd bring those feelings sometime soon.'" Things went from bad to worse as the couple descended into what the book describes as "marital hell," including a disastrous honeymoon, sexual dysfunction, constant squabbling, a hospitalization triggered by ongoing stress at home for Rick Warren, and other issues. The two have kept their marriage together over the years, it seems, owing to two major personal factors. First, they were, as mentioned above, convinced that God wanted them to be together. These words may be grating to our twenty-first century ears. (They were probably even more grating on the ears of Jesus' first hearers: Whether among his fellow Judeans or their Roman overlords, divorces were far easier to get and far more common than is true today.) But, we must wrestle with the fact that Jesus was firm in asserting that God means for marriage to be a lifelong commitment and that it shouldn't be destroyed for flimsy reasons. The Warrens believed that. So, they decided that no matter what, they would not divorce. I once knew a couple who vowed to one another prior to their wedding day, as the woman told me some forty years into their marriage, "We will never divorce." Like the Warrens, this couple hasn't had the easiest of times. One of them is a recovering alcoholic; the other has found it hard to keep steady work. But they've stuck it out and today they enjoy a happy marriage, savoring each other, their children, their children's spouses, and their grandchildren. Most of us, of course, never get a clear sense of God telling us to marry a particular person, as happened to both Rick and Kay Warren. (It was a weird experience for both of them, it seems. Rick Warren says that never before or since did he sense God telling him to do something so directly and clearly.) So, most won't have a moment of clear revelation to fall back on when a spouse drives them nuts for the umpteenth time or when the arguments seem never to stop or when husband and wife seem, simply, to be rowing in different directions. But, like the Warrens and countless others, we can rely on God to help maintain and strengthen our marriages. The Lord God in his goodness created us male and female, and by the gift of marriage founded human community in a joy that begins now and is brought to perfection in the life to come. Because of sin, our age-old rebellion, the gladness of marriage can be overcast and the gift of family can become a burden. But because God, who established marriage, continues still to bless it with his abundant and ever-present support, we can be sustained in our weariness and have our joy restored. There are several things that I love about this address. First, I love how it alludes to Genesis 2, where we're shown that men and women, created in God's image, are complementary. Males and females are called together into the marital relationships because only a man and a woman both share the imprint of God's image while remaining utterly different. The two of them are made complete by their union into one flesh. They are made for each other. I'm personally convinced that every day of the week, there are couples who crash land into divorce courts unnecessarily, faint, weary, and exhausted from trying to keep their marriages together with personal effort and duct tape. But what happens if both husband and wife submit their marriages to God, if each partner willingly takes responsibility for whatever personal sin and selfishness they brought to the table on the day they said, "I do" and everyday thereafter? That submission to the God we know in Christ and those confessions can be the first steps toward the healing and restoration of their marital relationships. Such reliance can help couples realize that their spouse may not be the enemy, that, in fact, their enemy is often themselves, or their ridiculous romantic notions, or a culture that so elevates individual and personal fulfillment that it leaves no room for the most wonderful human relationship any of us can enjoy, the marital relationship. In recent weeks, as some people have challenged me for my opposition to changes made in the policies of my denomination, the Evangelical Lutheran Church in America (ELCA), regarding the acceptance of monogamous homosexual relationships, whether among clergy or laity, I'm asked, "If the Church has so dramatically changed its views on marriage and divorce, why shouldn't it change its tune on gays and lesbians in committed sexual relationships, legitimizing such relationships?" There's a certain fairness in the question. While the Church and Christians are not called to play the role of vigilante, the Church does have a responsibility to declare God's truth as found in God's Word. The Church is also called to exercise the Office of the Keys conferred upon it by Jesus, to declare forgiveness to the repentant and to withhold it from the unrepentant. In spite of the call to both restraint and respnsibility though, the Church--the whole Church--has, in recent decades more or less looked the other way as Christians have married, divorced, and remarried. (And done so at levels which often surprass those of the general population.) We don't spend much time reminding couples that the Rick and Kay Warrens of the world, in staying together in spite of enormous challenges and differences of opinion, ought to be the norm and not the startling exception. Christians are called to have the same unassailable commitment to making their marriages work that the Warrens have demonstrated. Like them, couples who decide to take Jesus seriously both as God-in-the-flesh and the One most capable ot laying down God's expectations when it comes to marriage, may need to seek out good counseling. Successful marital restoration isn't guaranteed; but failure is guranteed for those who don't seek God's help in prayer and who aren't honest enough and courageous enough to enlist the help of competent help from counselors who can provide godly advice. To those who point to the failure of the Church to deal with the seriousness of marriage and God's dim view of divorce as a reason for ordaning gays and lesbians in committed life relationships and for allowing churches to bless the unions of gays and lesbians in such relationships, I can only say that I admit the mistake of the Church in not doing all that it can to encourage married couples to stay together. This is a mistake I personally pray to avoid in my future years as a pastor. We need to take marriage more seriously...and more inviolable. But just because we have dropped the ball in upholding marriage as a lifelong commitment and ignored couples' adoption of a "for as long as we both shall dig it" proposition, doesn't mean that we should replicate the same mistake. Having turned our back on one Biblical imperative doesn't mean that we should ignore yet another Biblical teaching on marriage, namely that it exists for a man and a woman living in complementarity and mutual servanthood for a lifetime. One mistake cannot jutify making another one. But the core point that Rick and Kay Warren demonstrate for us all is that not even the most problematic of marriages is beyond help from the God we know in Jesus Christ. Whether you think that God brought you together or not, you are together. God expects the two of you to work things out, to do your level best to fulfill the vows you once made to each other. In the end, it doesn't matter what brought you together in Holy Matrimony, unless you have a spouse who has committed adultery, has utterly spurned you for your faith, or subjected you to abuse, divorce shouldn't be an option. Where there's a vow, there's a way. The question is if both husband and wife remain willing to live out their vows. If they are, good things can happen. God can make it possible for them to do things they cannot do on their own, however well-intentioned they may be. Here’s a bit of trivia: I love vegetable soup. Love it. I especially love it a few days after Ann makes a big pot of it. Two days on, after being cooked and then refrigerated and set on the stove to simmer for a time, vegetable soup hits its stride as a taste treat. Sometimes, leftovers are the very best thing you can set before another person! One reason is that unless we give God first place in our lives, He’s likely to have no place in our lives. “I, the Lord your God, am a jealous God,” God tells us in the Old Testament. What? Is God jealous like a lover, demanding exclusivity? Yes, that’s exactly what God is like. In the New Testament, the Church is sometimes pictured as “the Bride of Christ” with Jesus as its husband. It also calls the Church, “the body of Christ,” denoting an almost organic connection to the One Who died and rose to give us everlasting life. Leftovers can sometimes be a great way to express our love for those we care about. But they’re not the best way for us to express love and gratitude to the God Who, in Jesus, gave Himself on the cross for us. We were designed to put God and His purposes first, not because God is an egomaniac, but because God made us for a relationship with Him. We are only complete--what our English translations of the Bible unfortunately call perfect--when the holes in all of our souls are filled by God. Only we can give God permission to do that by putting Him first in our lives. And it’s only when we let God have first place in our priorities, decisions, relationships, and plans that our lives can reflect His loving design for our lives. It turns out that Abel had offered the first offspring of his flocks to God. Cain gave God his leftovers. Their offerings may have been of equal value, but God obviously enjoyed Abel’s offering more. When Abel gave God the very first bit of his wealth, the first ten percent of his income, he was expressing gratitude to God. He was also expressing faith that God would sustain him even if he only had 90% of his wealth left. There’s a second reason it’s dangerous to only give our leftovers to God’s purposes in the world. In our Gospel lesson for today, Jesus lashes out at a group of supposedly holy people, the scribes. The term for a scribe in the original Greek of the New Testament is grammateus, a word from which we get the word, grammar in our English language. Literally, it means someone with the ability to write. Over time, the term came to be used of a person who was expert in both religious and civil law. Some suggest that Jesus was accusing the scribes, experts in Biblical law, of figuring out how to get their greedy hands on the meager estates of widows, who usually had no money. Widows who, in that deeply patriarchal society, by some strange happenstance, had an estate or income were deemed incapable of managing on their own. Scribes were appointed to act as their financial managers and often, lined their own pockets with the widows' money while leaving the widows with nothing. But, at a deeper level, I think that Jesus meant to say that the scribes were perfectly content to let the poor--people like widows--give everything of their small resources to the support of the Temple and priests while they gave their leftovers. And they did this while courting reputations of religious faithfulness and piety, giving a tiny fraction of their fat wallets, of their more than ample free time, and of their abilities to the purposes of God. 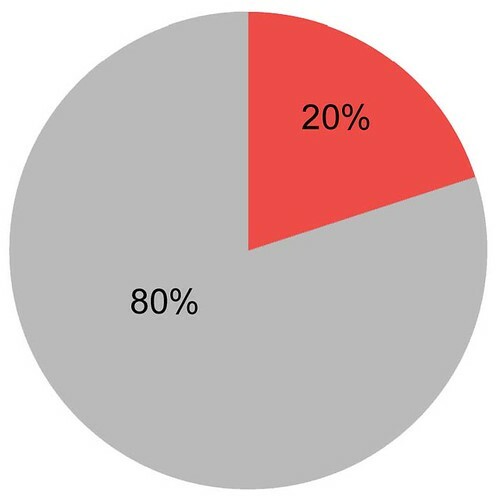 I’m sure you’ve heard or read about the Pareto Principle. It “states that for many events, roughly 80% of the events come from 20% of the causes...” In most businesses, for example, 20% of the people will make 80% of the payroll. And 20% of the people will do 80% of the work and 80% of the people will do 20% of the work. As Jesus watches the scribes and then the widow in our lesson today, He really is lamenting the injustice which results when a fraction of believers—in this case, the scribes--demand that those with less time and treasure give their all while they give their leftovers. It's interesting to note that the Greek New Testament word that's translated as "all she had to live on" in our lesson is the word, bios, which means life. (We get words like biology and biosphere from this word.) Jesus says that in spite of the ingratitude of selfish people, the widow gave her life to God. She foreshadows what Jesus Himself will do on the cross, giving His life for the sake of all of us. What if it infected Saint Matthew Lutheran Church? What would happen in the lives of those Jesus describes as "the poor in spirit," people who have no connection to Christ or the Church, if we in the Church were more like that widow and less like the scribes, giving ourselves, our efforts, and our treasures to Christ and His purposes in the world? I tell you what would happen: Thousands of lives, first ours and then, our neighbors’ lives would be eternally changed for the better! Our trust in Jesus would deepen and the fire and the passion of our faith would lend power to our invitations to others to come and follow Jesus with us! In two weeks, we will have our Consecration Sunday. When you receive your time and talent survey and estimate of giving card by mail, please pray about how you will respond to the Savior Who gave His life for you and how you will be part of what God wants to do at Saint Matthew. Speaking specifically to finances, let me tell you that I know that for many of you, this has been a hard year. I also understand--and more importantly, God understands--how your time for Saint Matthew's ministries can be limited. God also knows that Saint Matthew isn't the only place where you can serve God's purposes in the world. There are lots of worthy ways to serve God and neighbor and to glorify Jesus Christ that have nothing to do with the formal ministries of Saint Matthew. But I urge you, as you approach Consecration Sunday, to ask God, whatever your ability or limitations, to help you put Him first, to ask God to help you discern what you can do...because you know that on the cross, God put you first. *Spurned lover though He is, God still wants to restore His relationship with the unfaithful Israel, just as He wants to be in relationship with us when we willfully walk away and abandon God.